It was only a matter of time for Microsoft to step into the all-in-one market. The company finally made the first move at this week’s Microsoft Event, where it showcased its first ever all-in-one computer to all attendees in the conference hall, and all people around the world who watched the event. 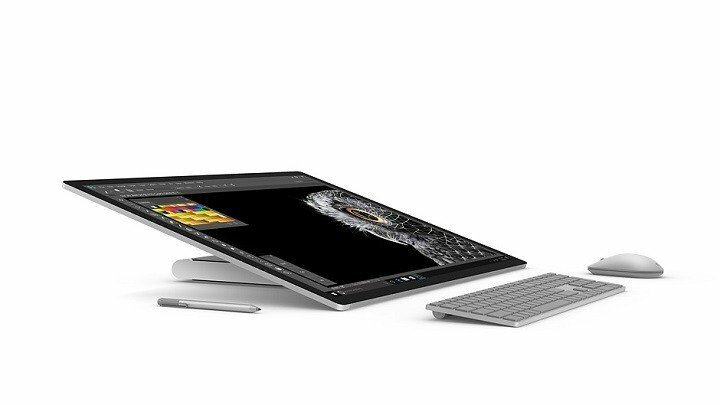 We present you the Surface Studio – the ultimate workstation for graphics designers, artists, and other professionals. This device represents Microsoft’s idea of future computing, with “natural and immersive” way to create, according to Terry Myerson, executive vice president of Microsoft’s Windows and Devices Group. The first thing you’ll notice on the Surface Studio is its stunning 28-inch 4500×3000 screen. According to Microsoft, this is the thinnest monitor ever built, with just 12.5 mm of thickness. Pixel density on this screen is breathtaking, with 13.5 million pixels (or 192 pixels per inch). But for a device of its purpose and power, we didn’t expect anything less. 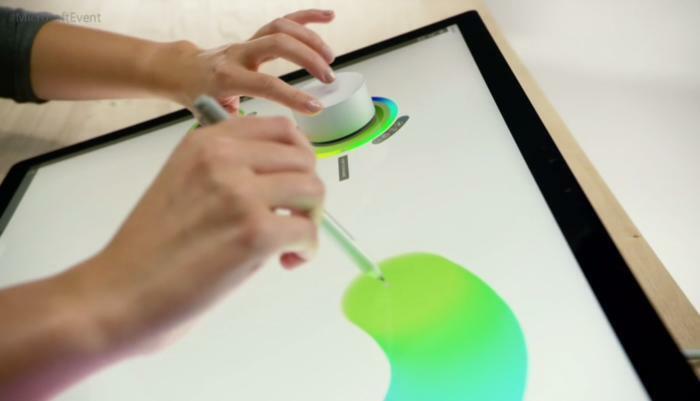 The screen is, of course, touch-enabled, and users can use a pen, such as the Surface Pen to interact with it. Users can also switch from a standard, desktop mode, to the brand new Studio mode. This mode is imagined to give users impression of an actual workboard, and is perfect for drawing, sketching, and other graphical work. 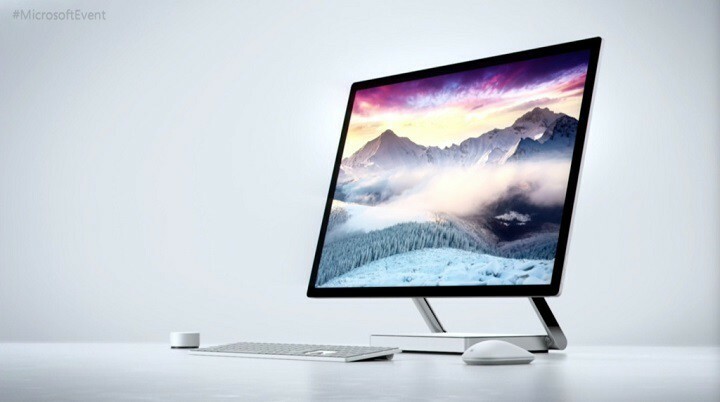 When it comes to specs of the Surface Studio, they’re breathtaking, as well. This device sports a Quad-core 6th Generation Intel Core processor, a powerful nNVIDIA GeForce graphics card with up to 4GB memory, and has up to 2TB of storage space. With these specs, the Surface Studio can satisfy even the needs of the most demanding customers. The Surface Studio also comes with a few accessories, that complete the user experience. In desktop mode, you can use an elegant wireless keyboard and mouse, while the studio mode is suitable for the Surface Pen and the Surface Dial. The Surface Dial is the new wireless rotational device, specifically designed for the Surface Studio. It offers a waster way to navigate through apps and programs, and brings some additional customization options. Since there’s no provided space for this device, it needs to be attached to the screen. However, it’s a 28-inch screen, so you can easily find one corner for the Surface dial, without sacrificing your actual workspace. All this luxury comes with a luxurious price. The Surface Studio can be pre-ordered for the price of $3,999, so it’s clear this device is not aimed at regular users. At least for now. What do you think about Microsoft’s first all-in-one PC? Is it a good value for the price? Tell us in the comments.